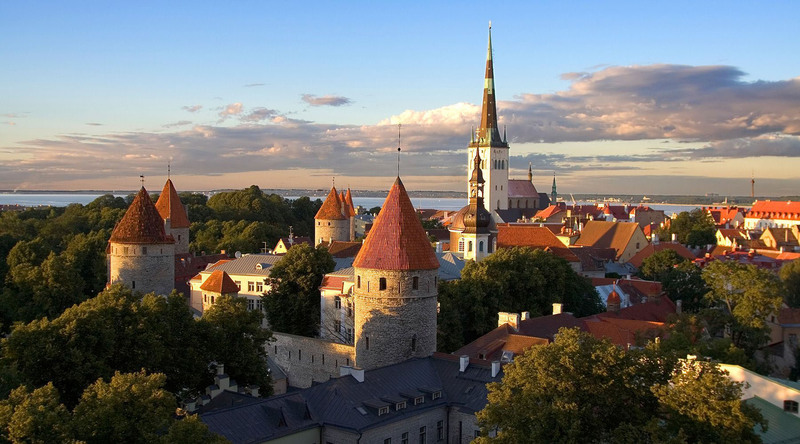 Despite occupation at one time or another by each of its near neighbors, Tallinn is independent-minded and has creative ways of showing it - consider the Singing Revolution of 1988, the massive musical demonstration against Soviet rule that set Estonia on the path to independence. Visit St Olav's Church, once the tallest building in the world, at least until 1625. Then pull up a chair at one of the cafés in the charming town square, heart of the city for 800 years. After your coffee, explore St. Catherine's Passage, a quaint old lane, home to a collection of craft workshops, and check out the secret 17th C. tunnel system. In Old Town, Palace Square features two incredible cathedrals: Alexander Nevski Cathedral, a Russian Orthodox building with traditional onion domes, and Toomkirk Cathedral, the oldest church in Tallinn with a Baroque altar and many interesting tombs. Situated on Toompea Hill, overlooking Old Town, Toompea Castle is an ancient stronghold that has been in use since at least the 9th century. Today the Castle inlcludes the pink colored Parliment House of Estonia. Just west of Tallinn, Rocca-Al-Mare is an incredible open-air folk museum. Featuring over 60 buildings brought in from all over Estonia, it represents life in rural villages in the 18th and 19th centuries. Discover the café culture that has thrived in Tallinn for generations with a stroll through its narrow streets and visits to some favorite local hangouts. Discover the rich history of Old Town Tallinn on a sightseeing tour through the ages, stopping at notable landmarks, including magnificent Palace Square. Enjoy a walk through forests and follow a boardwalk through boggy marshlands that make up the protected sanctuary of Lahemaa National Park.